Has your old car seen better days? Failed its MOT? Time to upgrade to a newer model? Whatever the reason, we are ready to offer you the best price in the North-West for your scrap car. We’ll recycle your vehicle on site. J. Davidson are a fully compliant to government standards and once your vehicle has been recycled, we will immediately notify the DVLA on your behalf- saving you time and money. Simply bring your car to us or give our team a call and we’ll collect it for you. With J. Davidson you’ll get a great deal on your scrap car– safe in the knowledge it’s been recycled to an exceptional standard. 1) Give us a ring and we’ll collect for you as soon as possible! Alternatively, bring your car to our site in Altrincham. 2) We’ll give you a price and if you’re happy with it we’ll pay you right there and then. 3) Once on site we use state of the art depollution rigs to remove all hazardous parts and liquids from the car so that that they can be disposed of in a safe and environmentally friendly manner. 4) Your old car will then be crushed and we’ll provide you with a Certificate of Destruction to prove that your vehicle has been disposed of properly and de-registered with the DVLA. It’s not only cars that we scrap. 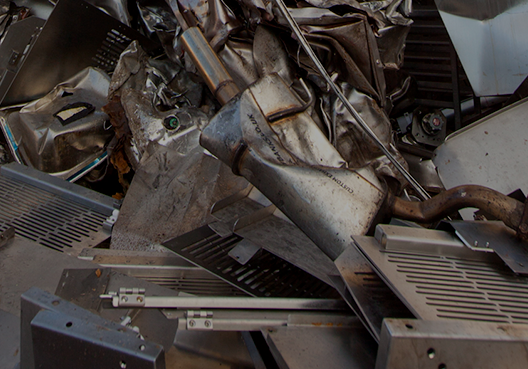 If you’re unsure if your unwanted goods can be scrapped or not, check out our blogs Use Your Head… and Scrap Your Lead or What Metals Are Worth Recycling? to find out useful information that may see you earning an extra pound or two. If you have any questions feel free to drop us a line on 0161 928 9981 or if you are wanting to see what your scrap car is worth fill out the form here.